For millions of Africans, the social situation is dire. Over half of the population of Sub-Sahara Africa do not have access to improved sanitation facilities, and about a quarter are undernourished. If factors such as armed conflicts in the region, the impact of climate change, or the widespread presence of a broad range of infectious agents are considered, it shows a large number of Africans living in very fragile circumstances, highly vulnerable to any kind of shock or rapid change. Small, informal community groups deliver the majority of social protection services in Africa, but most of these are disqualified from official recognition, support or integration with state systems because they do not "fit" the modern management model of accountability. The studies in this book challenge that verdict. This book outlines insightful and valuable research generated by teams of established scholars. It is divided into nine studies exploring the governance of non-state actors in Ethiopia, Ghana, Kenya, Senegal, Tanzania and Uganda. It examines the numerous self-help groups and their effectiveness, and argues that if the modern management model is right – why do so many Africans avoid interacting with it? 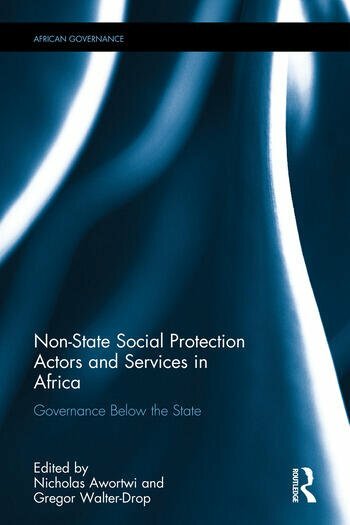 The book provides a warning against undermining what is possibly the single greatest social protection resource throughout Africa in the name of "reform", and suggests that the modern welfare establishment needs to adapt to (and learn from) self-help groups - not the other way around. Nicholas Awortwi is the Director of Research Partnership for African Social and Governance Research (PASGR), a Pan-African organisation based in Nairobi, Kenya. Gregor Walter-Drop is the Managing Director of the Center for Area Studies at the Free University of Berlin, Germany.